Under the slogan "Spread Buddha's rays to the Whole World," Daijokyo spent seven years on construction of the Great Buddha Statue, mobilizing 120,000 masons in total. 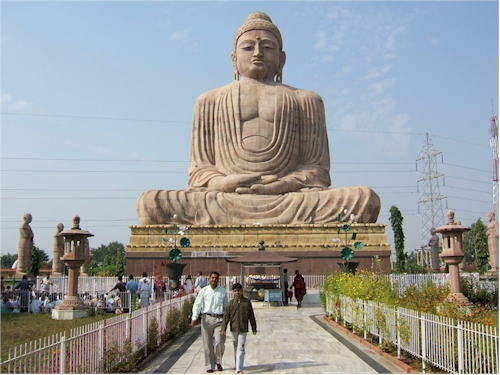 The greatest driving force for this massive project was the pure heart of people, who wish for further expansion of Buddhism from the holy place Bodhgaya, as well as for the realization of world peace. We Daijokyo believers shall never forget this fact.